"I wrote this and would like you to post this. I don't want it posted under my name because I don't want to take the heat and wrath of the Plastics and Derms. I need to choose my battles. Please post this as if you got this forwarded from me and I received it from an unknown writer. The post should be from "A Full-Time, Non-Core Cosmetic Physician". Can you do this?" A physician’s clinical results are directly related to their clinical skills. These skills come from their ability, their training, their dedication to learning and their clinical experience. Gifted mentors along with a high volume clinical practice are also important ingredients. Many of the best non-invasive cosmetic physicians are non-core physicians who have dedicated 100% of their professional activity to cosmetic dermatology. Can Non-Core Physicians Practice Cosmetic Dermatology? What is a Cosmetic Dermatologist? What is a Non-Core Cosmetic Physician? Is a Cosmetic Dermatologist better than a Non-Core Cosmetic Physician? How many Dermatologists are Fellowship Trained in Cosmetic Dermatology? How many Cosmetic Dermatology Fellowship Training Programs are there in the United States? How many Fellows graduate every year from these programs? Why do we need Experienced, Expert, Full-Time Non-Core Cosmetic Physicians Practicing and Teaching Cosmetic Dermatology? 1. What is Cosmetic Dermatology? Dermatology that concerns cosmetic issues. Anything that is not Medical Dermatology, like skin cancer and other serious medical conditions. Wrinkles, Age Spots and Skin Tightening are cosmetic concerns.Cosmetic Dermatology also includes some medical conditions like Acne, Rosacea and Melasma. It also includes Acne Scars, other types of Scars, Unwanted Hair and Unwanted Veins. 2. Can Non-Core Physicians Practice Cosmetic Dermatology? YES. 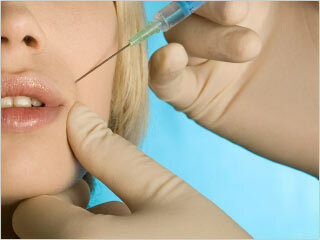 Cosmetic Dermatology involves treating cosmetic conditions. Non-Core Physicians practice Cosmetic Dermatology when they treat cosmetic conditions of the skin. Non-Core Cosmetic Physicians are NOT Cosmetic Dermatologists. They are Non-Core Cosmetic Physicians. 3. What is a Cosmetic Dermatologist? What is a Cosmetic Physician? A Cosmetic Dermatologist is a Board Certified Dermatologist who does Cosmetic Dermatology. A Cosmetic Physician is a Board Certified Physician who practices Cosmetic Dermatology. Cosmetic Dermatologists and Cosmetic Physicians can be full-time or part-time. Most Cosmetic Dermatologists are NOT Fellowship Trained in Cosmetic Dermatology. 4. Is a Cosmetic Dermatologist better than a Non-Core Cosmetic Physician? Not necessarily. It depends on each doctor’s training and the experience. A full-time Non-Core Cosmetic Physician can be better than a Cosmetic Dermatologist who only practices Cosmetic Dermatology as a small adjunct to their Medical Dermatology Practice and has not been Fellowship Trained. A Non-Core Cosmetic Physician in a state like New Jersey is probably a better Laser Physician than a Dermatologist or a Plastic Surgeon who does not do the actual treatments but instead supervises Physician Extenders in their practice. 5. How many Dermatologists are Fellowship Trained in Cosmetic Dermatology? Not very many. I am not sure of the exact number, but not very many. There is a big difference between a Cosmetic Dermatologist who has been Fellowship Trained and a Cosmetic Dermatologist who has NOT been Fellowship Trained. 6. How many Cosmetic Dermatology Fellowship Training Programs are there in the United States? How many Fellows graduate every year from these programs? Not very many. I don’t know the exact numbers, but it is not very many. 7. Why do we need Experienced, Expert, Full-Time Non-Core Cosmetic Physicians Practicing and Teaching Cosmetic Dermatology? Full-Time, Expert Non-Core Cosmetic Physicians are needed because there is an inadequate number of Fellowship Trained Cosmetic Dermatologists and an inadequate number of Cosmetic Dermatology Fellowship Training Programs. A physician’s clinical results are directly related to their clinical skills.These skills come from their ability, their training, their dedication to learning and their clinical experience. Gifted mentors along with a high volume clinical practice are also important ingredients.Plastic Surgeons, Dermatologists and Non-Core Cosmetic Physicians all start from the same point.Dermatologists are expert in skin physiology and pathology. The Plastic Surgeons and the Non-Core Cosmetic Physicians must become experts in skin physiology. The Fellowship Trained Dermatologists are the future of Cosmetic Dermatology, but until there are more training programs and more Fellowship Trained Dermatologists, they will not be the primary providers of Cosmetic Services to the general population. Many of the best non-invasive cosmetic physicians are non-core physicians who have dedicated 100% of their professional activity to cosmetic dermatology.